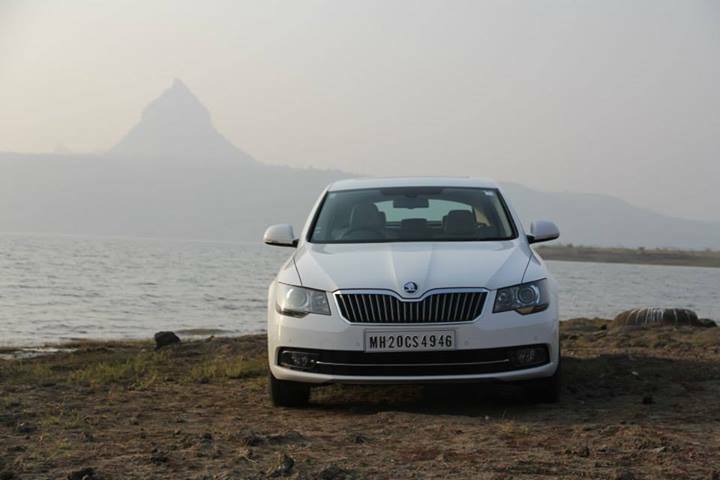 Skoda has started promoting the new Skoda Superb facelift through various channels, and is also holding the press drive near Mumbai, Maharashtra. The car will be officially launched in the market at the 2014 Auto Expo. As we had told you earlier (check out the update below), the Skoda Superb facelift press drive will be held in India from 13th January 2014, according to a scoop by CarToq.com. The Skoda Superb facelift will hold the fort till the the all new Skoda Superb based on Volkswagen’s MQB platform is launched in end 2015 or early 2016. We will be updating you about the Superb facelift, keep tuned in to Car Blog India. There are no two ways to the fact that the Superb sedan has really done superb till date for its maker Skoda. Skods is working on Skoda Superb new model India launch for early 2014, which is expected to hit the market either in late January or early February 2014. Notably, the same has already doing well internationally since last year. Some new pictures of the facelift have surfaced which suggest that the new car will have a few changes in its outer looks. On the front, the refurnished grille looks pretty much inspired by the latest model of Octavia. Apart from this, headlights, bumper, bonnet with integrated Skoda logo and fog lights will also bear the signs of some new work. On the rear end, number plate will be placed on the boot lid. LED tail lamp cluster and bumper have also been changed. On the inside, the steering wheel design has been changed and so have the colours being used for the interiors. Fabrics on the interiors have also been revised on the facelifted model. Since the predecessor has been doing good and there is no need to change the engine synergies. Hence, you will find all the same with two engines options. First, a 1.8 liter TSI turbo petrol engine with maximum power of 160 Bhp and maximum torque of 260 Nm. The second is a 2 liter TDI turbo diesel engine with140 Bhp maximum power and 320 Nm maximum torque. A 6 speed manual gearbox and a 7 speed DSG dual clutch automatic gearbox may be given with petrol engines and diesel variants may offer a 6 speed manual and 6 speed DSG dual clutch automatic gearbox. The Superb has consistently outsold its rivals from Honda, Nissan, Toyota, Hyundai and VW in the past sometime and Skoda will expect that the facelift will give further boost to its efforts to strengthen its position in the segment.